Shepherds discovered coffee in Ethiopia circa 800 A.D. Legend has it that 9th century goat herders noticed the effect caffeine had on their goats, who appeared to “dance” after eating coffee berries. A local monk then made a drink with coffee berries and found that it kept him awake at night, thus the original cup of coffee was born. Coffee is the second most traded commodity on earth. According to the Global Exchange, there are approximately 25 million farmers in over 50 countries involved in producing coffee. The number one commodity? Oil. Coffee was the first food to be freeze-dried. There are two types of coffee beans: Arabica and Robusta. The majority of coffee is produced in Brazil. Hawaii is the only state in the U.S. that commercially grows coffee. Coffee was originally a food. Coffee is actually a fruit. The world’s most expensive coffee is $600 a pound. There have been five attempts to ban coffee throughout history. Coffee was first banned in Mecca in 1511 because leaders believed it stimulated radical thinking. And, 16th century Italian clergymen tried to ban coffee because they believed it to be “satanic.” However, Pope Clement VII loved coffee so much that he lifted the ban and had coffee baptized in 1600. But Ottoman leader Murad IV took it even further when he ascended the throne in 1623 by creating the first punishments for drinking coffee, which included beatings and being thrown into the sea. In 1746, the Swedish government made it illegal to even have coffee paraphenalia, including cups and dishes. And finally, in 1777, Frederick the Great of Prussia issued a manifesto declaring beer’s superiority over coffee because he believed it interfered with the country’s beer consumption. You can overdose on coffee. New Yorkers drink almost seven times as much coffee as the rest of the U.S.
Coffee drinkers have a lower risk of Alzheimer’s disease. Coffee stays warmer when you add cream. But when you add milk, it weakens the effects of caffeine. The largest cup of coffee ever was brewed in July 2014 in South Korea. Coffee was brought to New Amsterdam (present day New York City) in the mid-1600s. George Washington invented instant coffee. Just smelling coffee can wake you up. Dark roast coffees have less caffeine than lighter roasts. Decaf does not mean caffeine-free. In the United States, 80% of adults consume caffeine every day. Americans consume 400 million cups of coffee per day. The average worker spends $20 a week on coffee. Researchers have found even more evidence that coffee can be good for you. People who drink regular, moderate amounts of coffee are less likely to die from a range of diseases, from diabetes to heart disease. The cutoff seems to be around five cups a day, and even decaf coffee helps, the team at Harvard University’s school of public health found. But even heavy coffee drinking doesn’t appear to offset the damage caused by smoking, they report in the journal Circulation. “The main message is that regular consumption, meaning three to five cups of coffee a day, is associated with lower risk in total mortality and mortality from several causes like diabetes, cardiovascular disease and suicide,” Frank Hu, a professor of nutrition and epidemiology who helped lead the study, told NBC News. Hu and colleagues looked at two giant sources of information: surveys of more than 200,000 doctors and nurses who have regularly updated researchers on their eating and other lifestyle habits and details about their health for more than 20 years. Coffee drinkers overall were less likely to die over the decades than non-drinkers. The effects were even stronger and clearer when the team discounted smokers. Non-smokers who drank coffee were between 8 and 15 percent less likely to die, depending on how much they drank. “This is good news for people who drink coffee because the evidence is strong. Drinking coffee may be good for health outcome,” Hu said. It’s not a clear correlation. People who drink more coffee also are more likely to smoke, drink, and to eat red meat. Other lifestyle habits may also go along with heavy coffee drinking, and the researchers didn’t report on whether people drank their coffee black, with cream, with sugar, or as giant frothy drinks from coffee store chains. “We are not advocating coffee as a strategy for prevention of the chronic diseases because coffee drinking is individual behavior and there are other factors in the diet that have a bigger effect. People should also be aware of the amount of added sugar to coffee drinks which can become a problem,” Hu said. What could coffee be doing for health? The dark drink is the No. 1 source in the American diet of antioxidants – those chemical compounds that fight the damage to your DNA caused by day-to-day living. Other research has found evidence that coffee can help people recover from colon cancer, lower diabetes risk and reduce the inflammation associated with diabetes and heart disease. Advisers to the U.S. government say new dietary proposals should mention the benefits of coffee, which include protection against diabetes, Parkinson’s and liver cancer. “The chlorogenic acid, lignans, quinides, trigonelline, and magnesium in coffee reduce insulin resistance and systematic inflammation,” the researchers wrote. “This is probably the best study we are going to get because of the very large numbers, the inclusion of men and women, and the decades of follow-up,” said cardiologist Dr. Sharonne Hayes of the Mayo Clinic in Minnesota, who wasn’t involved in the study. Setelah weekdays yang melelahkan, akhir pekan biasanya dihabiskan jalan-jalan bersama keluarga. Bisa rekreasi ke mal, tempat wisata, berenang, bahkan nongkrong bareng keluarga. 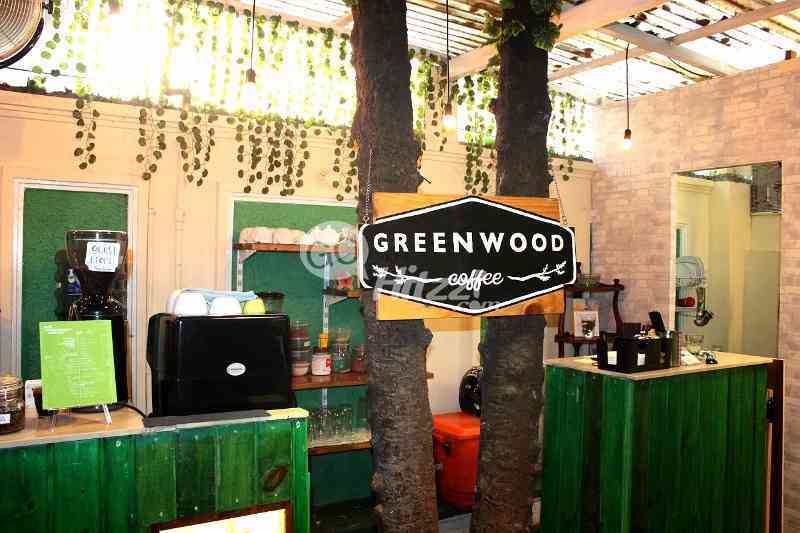 Nah, bila Bilna Family suka ngopi bersama keluarga dengan suasana yang nyaman dan sejuk, Greenwood Coffee jadi pilihan yang tepat. 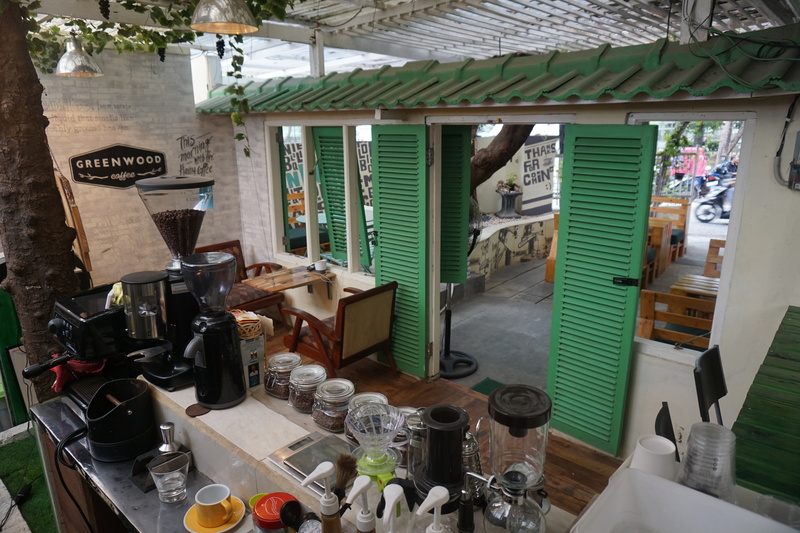 Kafe yang terletak di daerah Barito, Jakarta Selatan ini memiliki konsep ‘go green’ dengan ruangan semi terbuka. AC dan pencahayaan berasal dari sumber alami sehingga bisa menghemat listrik. Walau tanpa AC, Greenwood Coffee terasa adem di siang hari karena area makannya dinaungi pohon. Greenwood Coffee memanjakan para pecinta kopi dengan biji kopi asli yang diambil dari berbagai daerah di Indonesia seperti Papua, Aceh, Jawa Barat, dan lain-lain. Untuk base kopinya, Greenwood Coffee menggunakan biji kopi dari Jawa Barat yaitu Malabar yang diekstrak menggunakan mesin espresso. Baristanya sudah berpengalaman, sehingga tak perlu ragu dengan kualitas kopi yang disajikan. Selain itu, Greenwood Coffee juga menyediakan minuman yang tidak disertai kopi. Misalnya Hot/Ice Chocolate, Ice Chocomint, Darkchoco Caramel, serta berbagai jenis teh seperti Green Tea Ice Blended, Lychee Tea, Thai Tea, dan lain-lain. Walau tidak menyediakan nasi, kafe ini tetap menyediakan berbagai camilan yang cocok disajikan saat ngopi, misalnya kentang goreng, spageti, dan roti panggang. Milk shake dan es krim juga tersedia dengan berbagai pilihan rasa. Anda juga bisa menikmati kopi dingin yang unik dan jadi favorit di sini, yaitu Green Coffee, campuran alpukat dan kopi dengan whipped cream di atasnya. Sementara untuk camilan favoritnya Anda bisa mencicipi honey roasted wings, fish and chips, atau lasagna bolognese. Kami menyediakan beragam pilihan minumam untuk anda. Mulai dari Kopi yang tentunya menjadi andalan kami, sampai dengan chocolate dan beragam teh. Untuk menemani anda minum Kopi kami juga menyediakan beberapa pilihan snacks. 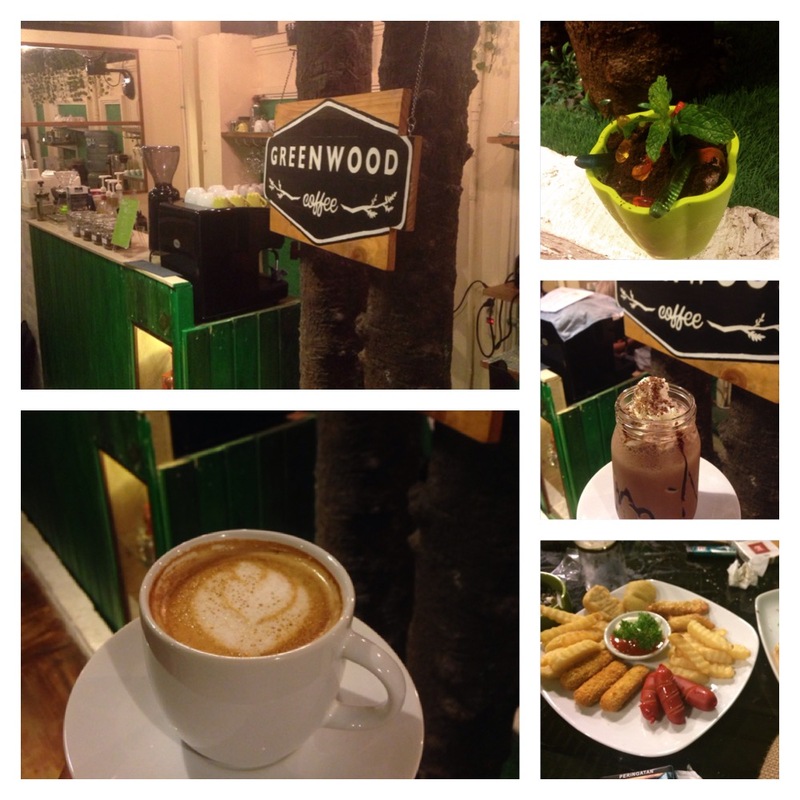 Kami tunggu di Greenwood Coffee. ENJOY!